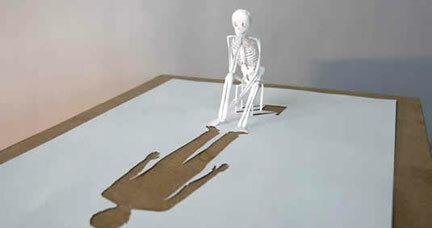 Peter Callesen creates some amazing artwork out of cut paper. I particularly like his A4 Papercut series. Most of his pieces use the cutout in the paper to create part of the imagery and the sculpture formed out of the cut area to complete it. You can't help but be amazed at how much thought, effort and delicacy goes into each piece of paper.